Yup, Steven Spielberg believes in aliens. As if you expected anything different from the man who made E.T. The Extra-Terrestrial, War of the Worlds and Close Encounters of the Third Kind. 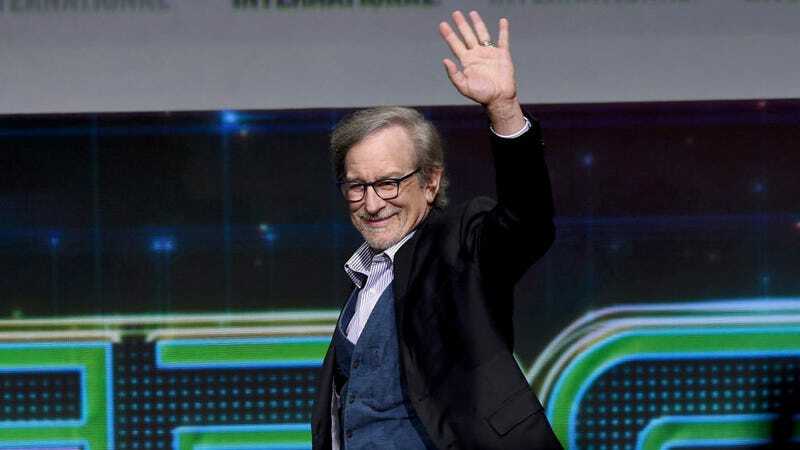 That last one is celebrating its 40th anniversary this year and, in a new clip from the upcoming 4K Blu-ray box set, Spielberg talks about his intentions for the film and fact that he believes in aliens. And while the fact that Spielberg believes in aliens isn’t exactly a surprise, his approach to Close Encounters kind of is. In the same clip, the legendary director says with Close Encounters, he didn’t set out to make a science fiction film. Which at first seems odd because, obviously, it’s a science fiction film. It ends with a giant spaceship coming to Earth, for crying out loud. However, Spielberg not viewing it that way, and giving it a realistic feeling throughout, is almost certainly why the film remains as revered today as it was forty years ago. He had to approach it as 100% real and grounded for it to have the impact it does. That new Close Encounters box set is out September 19.